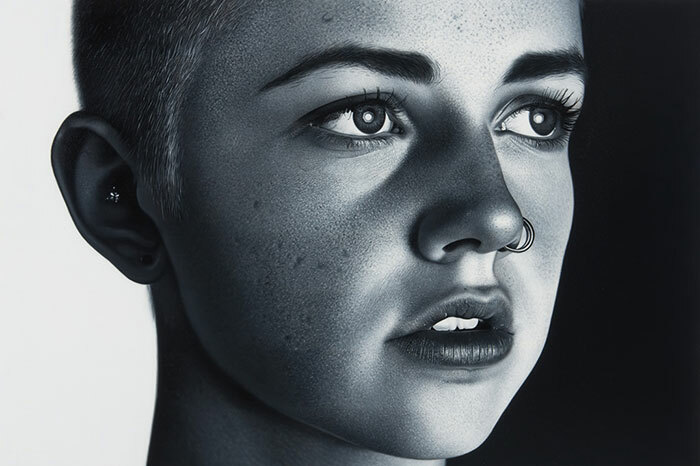 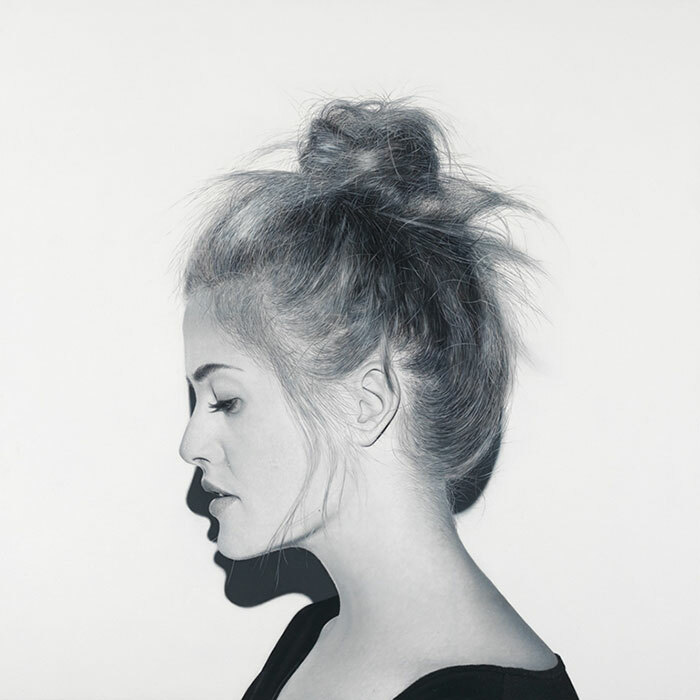 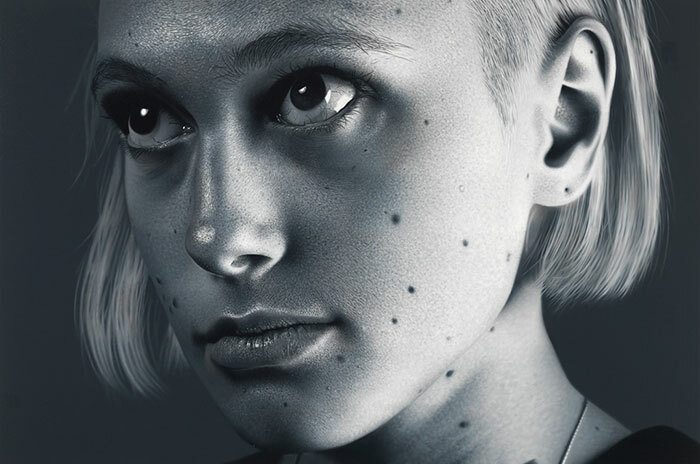 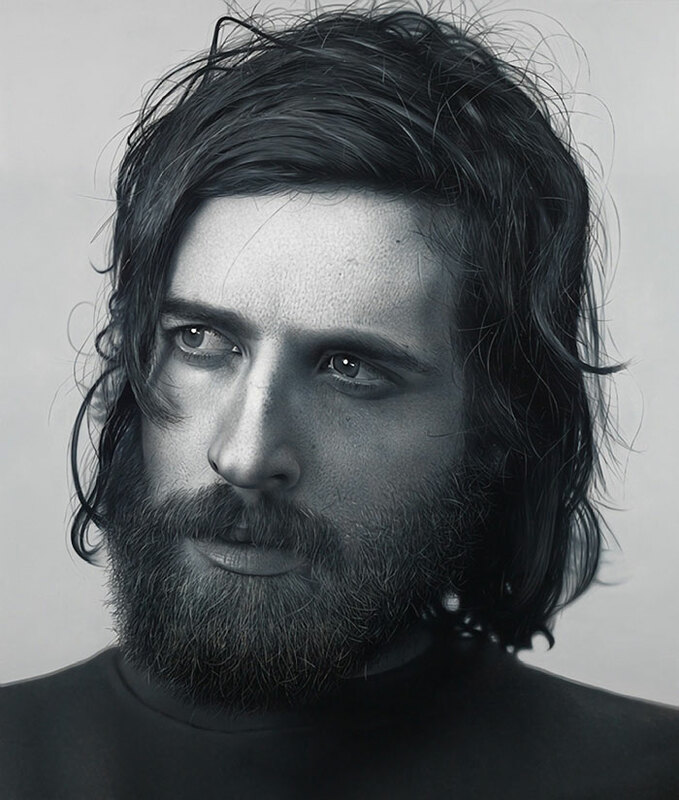 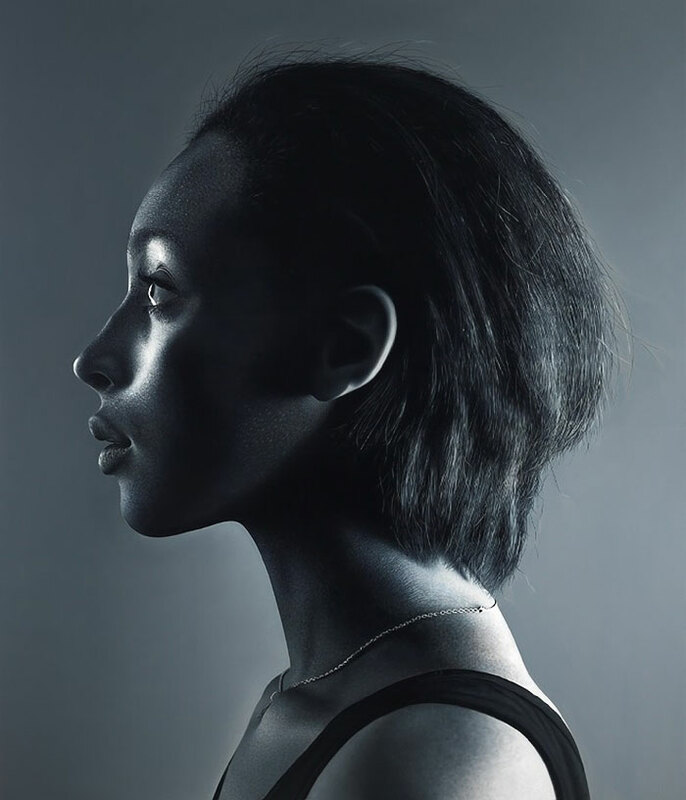 Photorealistic portrait paintings by Toronto-based artist Charles Bierk. 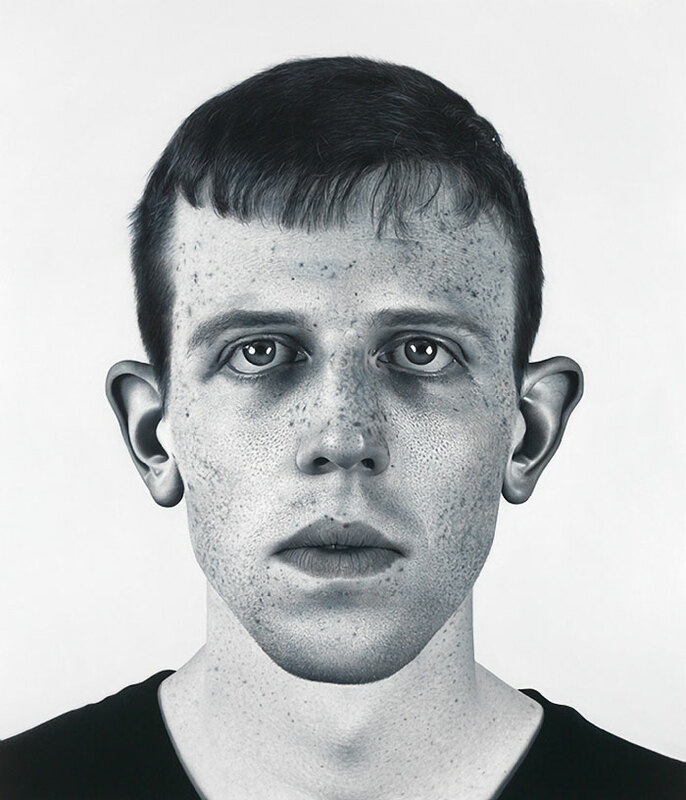 Restricting his palette to black and white, Bierk paints large-scale portraits of family, friends, and acquaintances based on photographs he takes in his studio and accentuates every line, freckle, hair follicle and other unique characteristics. 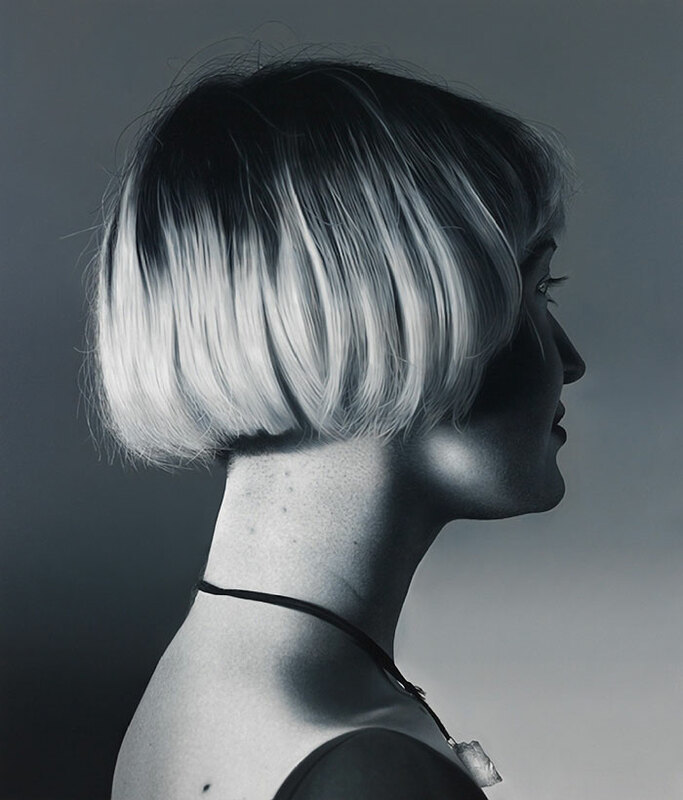 He studied painting under his father, the landscape artist David Bierk, who taught him to grid the canvas and paint square by square. 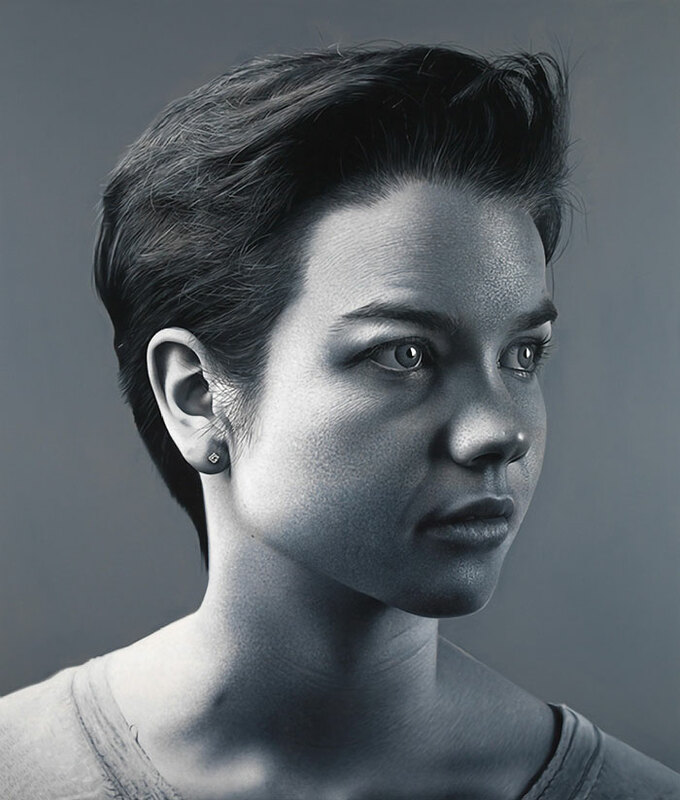 Bierks regards each work as a self-portrait by documenting a specific moment in his subject’s life and plans to revisit the same subjects in several years to record the passage of time. 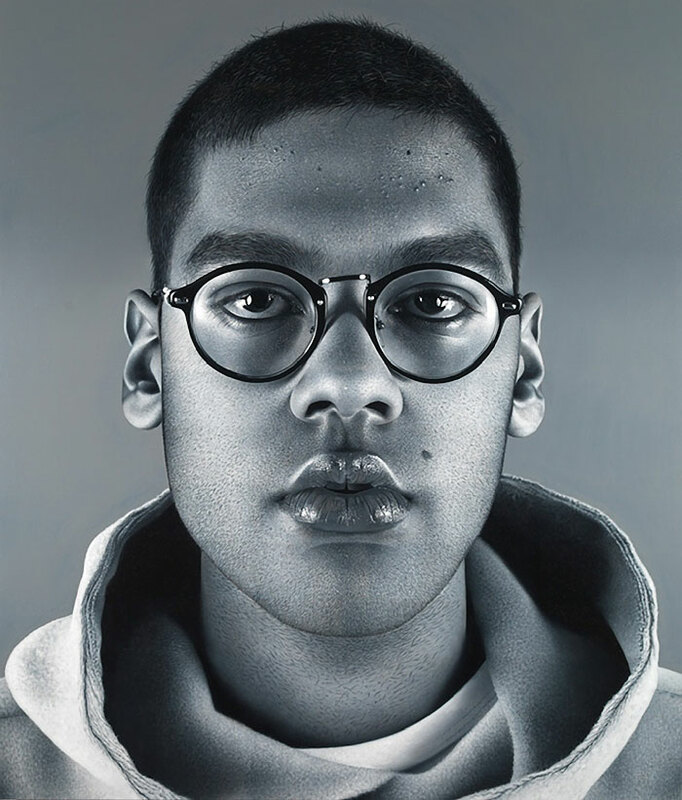 Photorealistic portrait paintings by Toronto-based artist Charles Bierk.